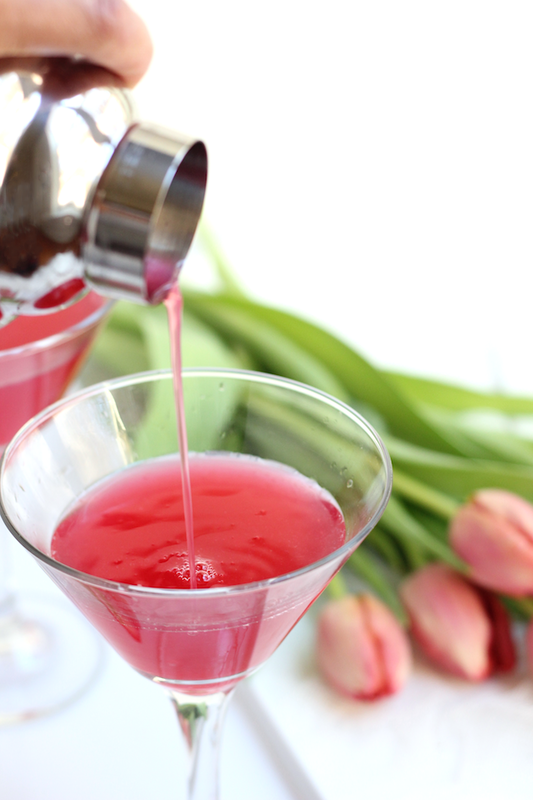 This Cosmo is sweet, sour, and the right amount of strong all in one. 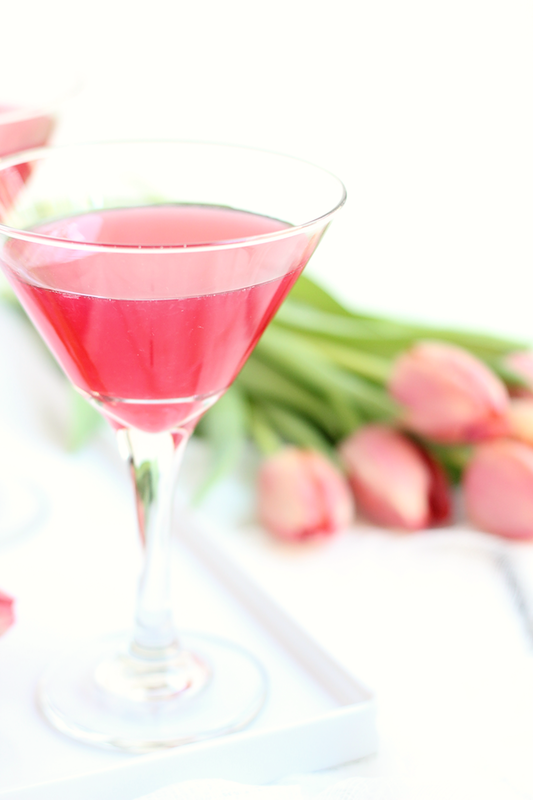 The Cointreau and cranberry juice marry to create the perfect amount of sweetness. The hint of orange in the background is so good! Fresh lemon juice adds just the right amount of sour, and the vodka makes it good and stiff! I used 7 oz of vodka (for 4 cocktails), but I suggest you experiment with the amount you add so that it's right for you, your girlfriends, or your significant other in the event you serve this up for Valentine's Day! Add all of the ingredients to a small pitcher and stir. Store in the fridge until ready to serve. Once you are ready to serve, add the mixture and a handful of ice to a cocktail shaker. Shake the cocktail for 30 seconds and strain into a frosted martini glass. Serve cold! Love a good Cosmo. Your photographs are stunning!! It's so pretty! I don't think I've ever said that about a cocktail before, but that color is gorgeous. 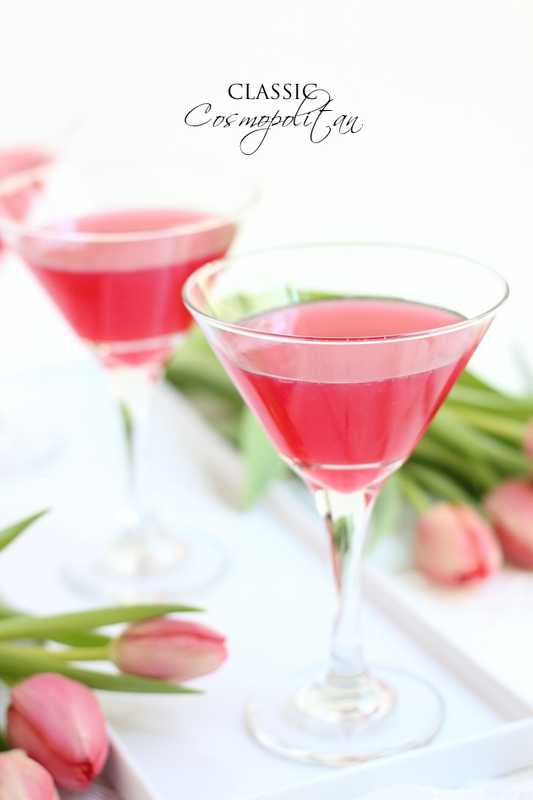 Just in time for the holiday- love this pretty pink cocktail! Would love to have one!